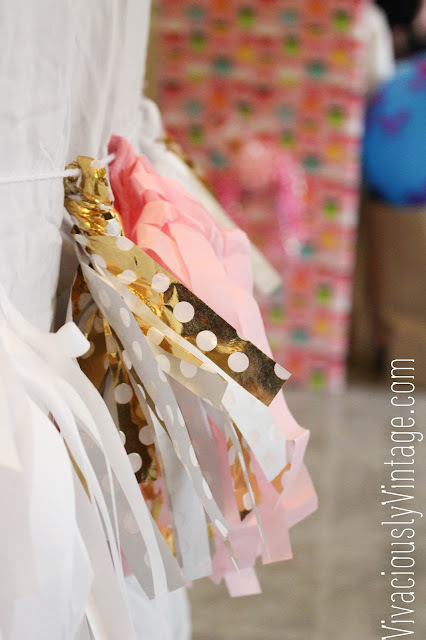 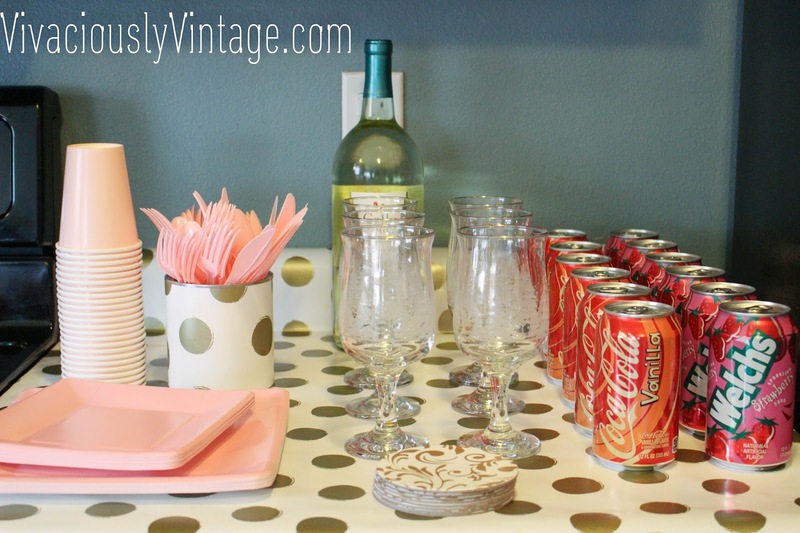 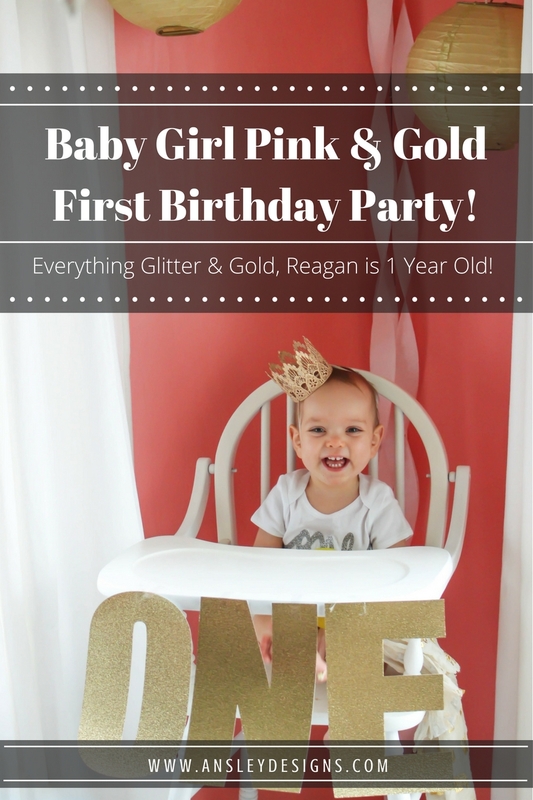 Ansley Designs: Reagan's First Birthday Party! 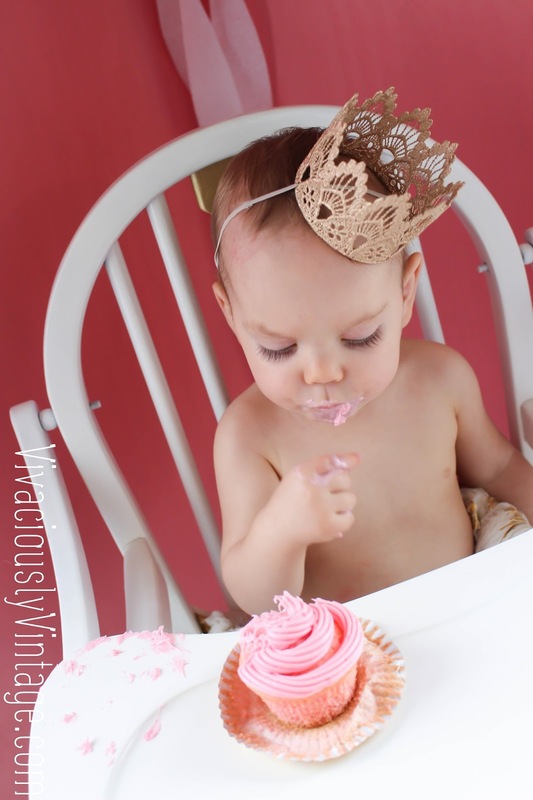 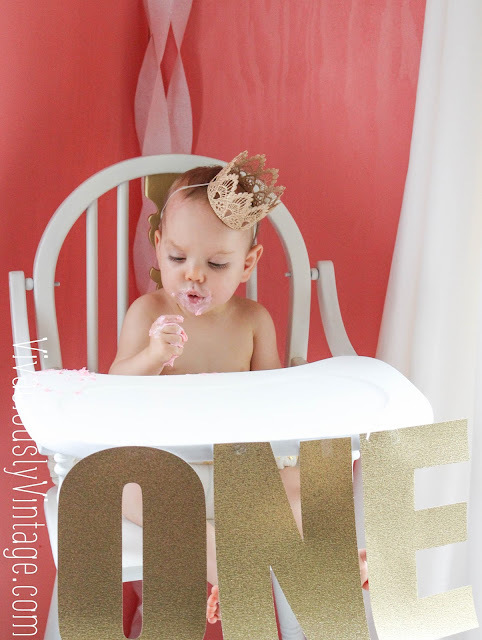 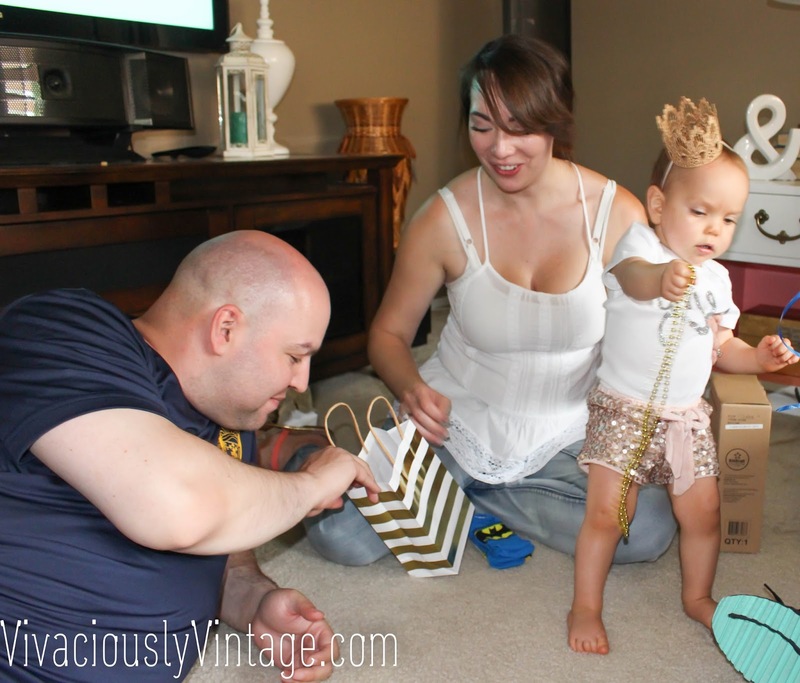 Her vintage high chair was so perfect for all of the photos! 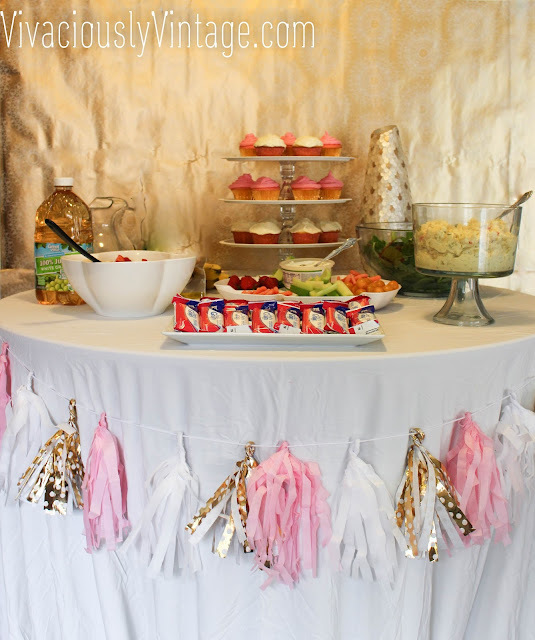 I DIY'd all the decor. 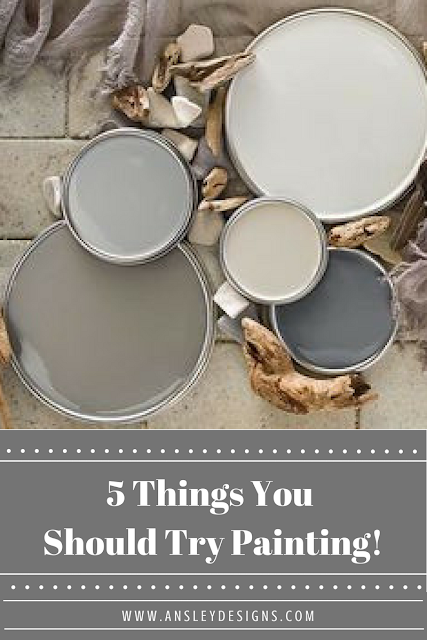 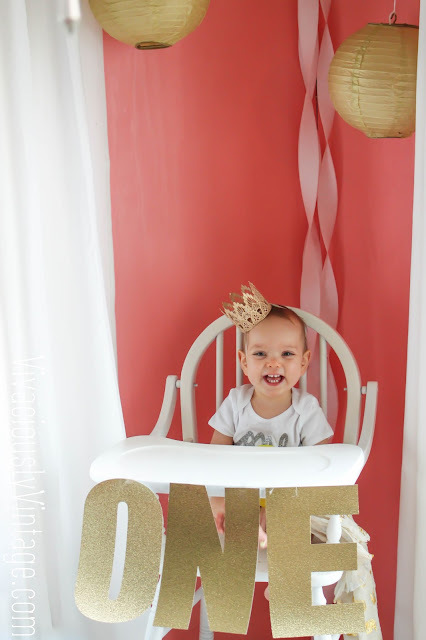 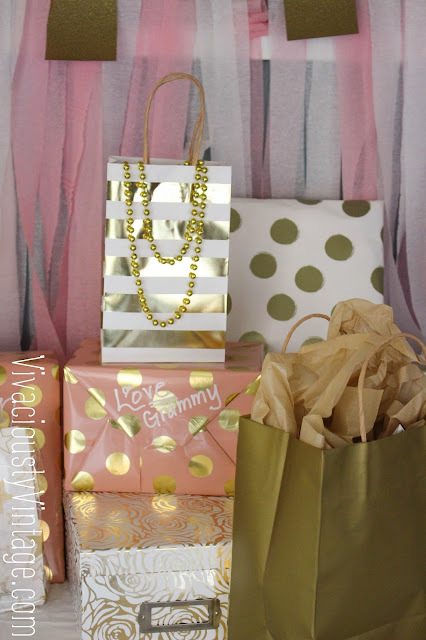 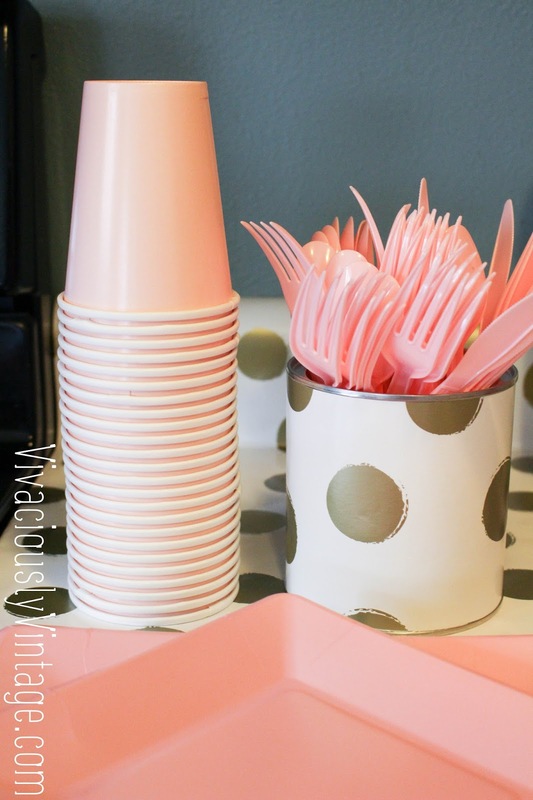 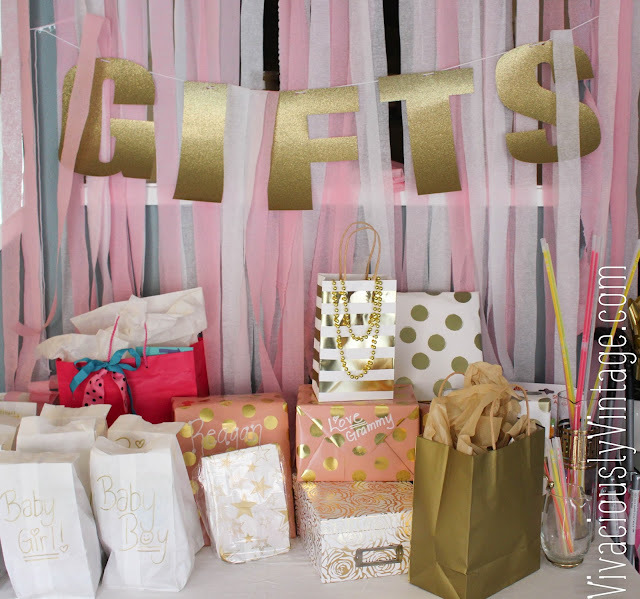 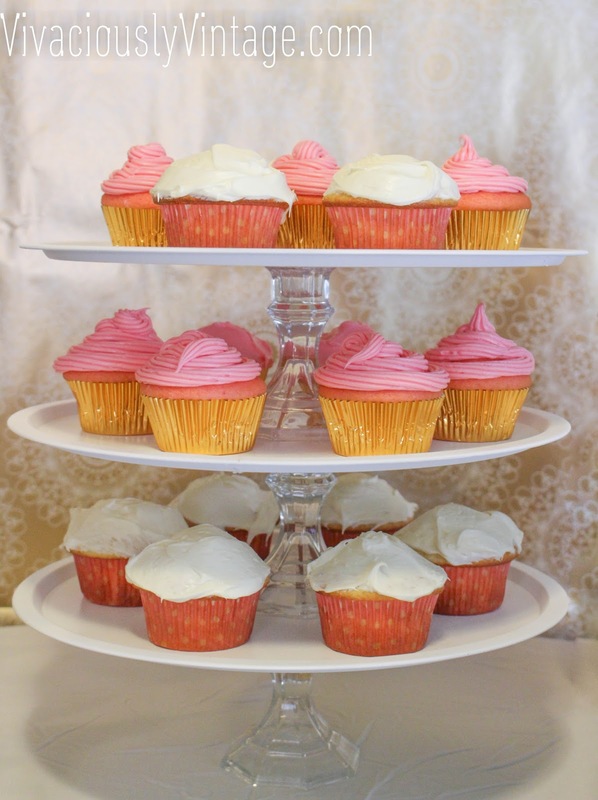 Including making a tassle garland, covering the coutertop and wall with wrapping paper, the glitter "ONE" and "GIFTS" letters, making the cupcake stand, and even a faux wall that I painted coral to serve as the backdrop to her high chair! 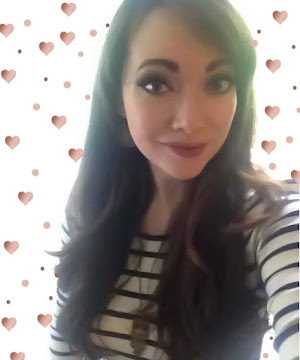 I'll post tutorials on a few of these! We had so much fun, and I can't wait to spend a thousand more birthdays with my sweet girl!